and The British Film Institute. All Rights Reserved. The film takes place over 3 days in the life of Margaret Thatcher, and is narrated through a series of flashbacks, depicting an elderly Thatcher remembering moments that shaped her and the effect her political life has had on her, while clearing out her dead husband's belongings. 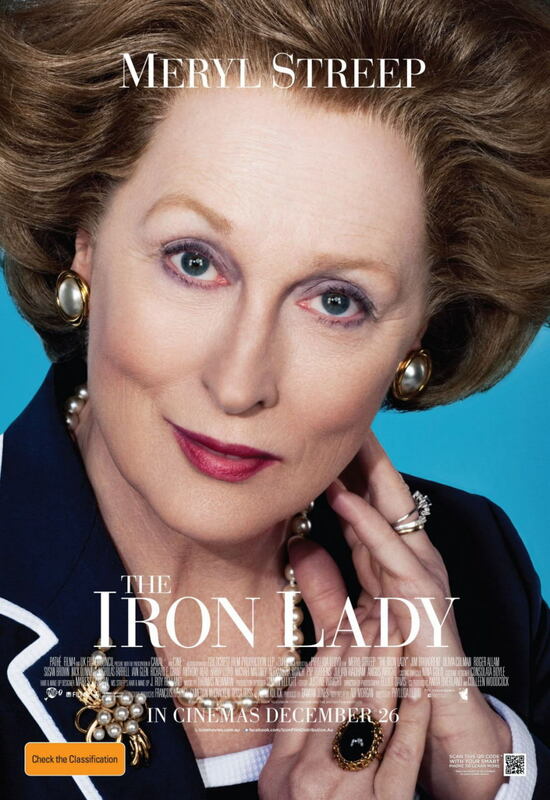 As the film begins, we are shown Margaret Thatcher (Meryl Streep), longest serving Prime Minister of the United Kingdom of the 20th century, as an old woman walking to the shop alone to get milk. Gradually, we see her struggle with old age and changing times, and the lack of power that comes with both of these things. Through the scope of old age, and afflicted by dementia, Lady Thatcher looks back on defining moments of her personal and professional life; from her youth working in her father's grocery store in Grantham, listening to his political speeches as Alderman, to her rise through the House of Commons to Leader of the Conservative Party, and eventually, Prime Minister of the United Kingdom. Her rise to power is juxtaposed with her relative powerlessness in the present day, and the film uses the past as a medium to deal with this. Much of the film deals with Thatcher's rise to the top and the struggle of a young, working-class woman (Young Margaret Thatcher: Alexandra Roach) trying to break into the male-dominated Tory party and the House of Commons (House of Commons Speaker: Richard Syms). The various obstacles she faces as a woman trying to find a seat, her marriage to Denis Thatcher (Harry Lloyd), and her struggle to fit in as a "Woman Member" of the House, and of Edward Heath's (John Sessions) cabinet are all shown. Her friendship with Airey Neave (Nicholas Farrell), decision to run for office, and her voice coaching (Christopher Luscombe) and image change are also depicted in the movie, showing Thatcher's transformation from one of the few female members, to leader of the country. The film continues to examine historical events marking her time as Premier including; her decision to initiate the Falklands War, and the sinking of the ARA General Belgrano and subsequent victory; the problems of rising unemployment due to her monetarist policies; her struggle to restore Britain's economy through sometimes harsh methods; and her opposition to European Integration, which eventually led to her colleagues in Cabinet turning against her. Thatcher is also shown as somewhat difficult, and even aggressive towards members of her Cabinet (John Major: Robin Kermode, Douglas Hurd: Paul Bentley), leading to her being labelled a bully. This eventually results in her forced resignation as Prime Minister. The present-day Thatcher reminisces on these events with her (dead) husband, Denis (Jim Broadbent). Her dementia results in the past and present becoming permeable, and she is shown having difficulty distinguishing between the two. Eventually, Margaret is shown finally packing up her husbands belongings, and giving him a suitcase, telling him it's his time to go. Denis finally leaves her, and having dealt with her grief properly, she begins to get on with her life.